Definitions and examples of how ultrasounds work are presented in two views. 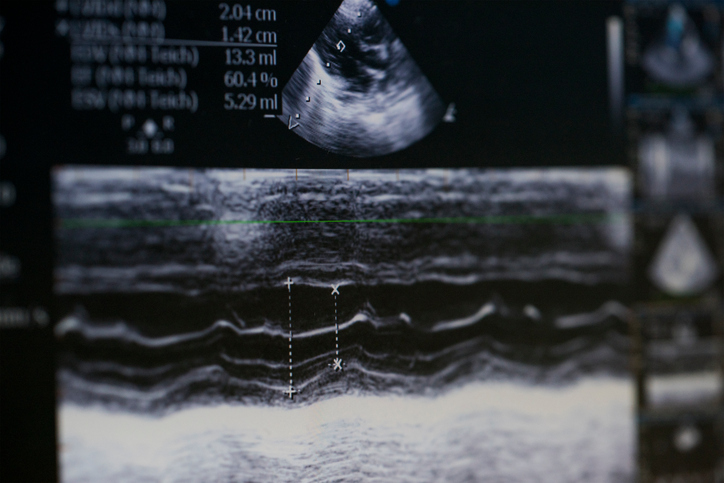 The same basic principles that bats, submarines and many fishermen use with sonar are the same principles that ultrasound (or sonography) are based on. It’s a rather simple concept, really. When a sound wave hits an object it bounces back, or echoes. A bat or sonar machine ‘hears’ those echoes and measures them in their own way to determine how far away the object is that caused the echo. An ultrasound machine does the same. In fact, it measures the echo waves that are bouncing back and can also determine the object’s size, shape and whether it’s solid, filled with fluid or both. And in some cases, even show the exact speed of any motion of the object or objects around it. During an ultrasound test or exam, a technician or doctor will move a handheld device called a transducer directly on and over a patient’s body. This transducer, or probe, is connected by a cord to a larger ultrasound machine or computer. As the transducer is pressed directly against the patient’s skin, it sends out sound waves through or into your body. The equipment used today are often known as real-time scanners. These put our very high frequency sound waves of between 3.5 to 7.0 megahertz (i.e. 3.5 to 7 million cycles per second). Humans can not hear these high-frequency sound waves but the sensitive microphone in the transducer can. It records the echos that bounce back from the patient’s internal organs, fluids and tissues amd records these changes in the sound’s pitch. This data is given to the computer which instantly creates images in real-time for the technician, doctor and often the patient to watch. 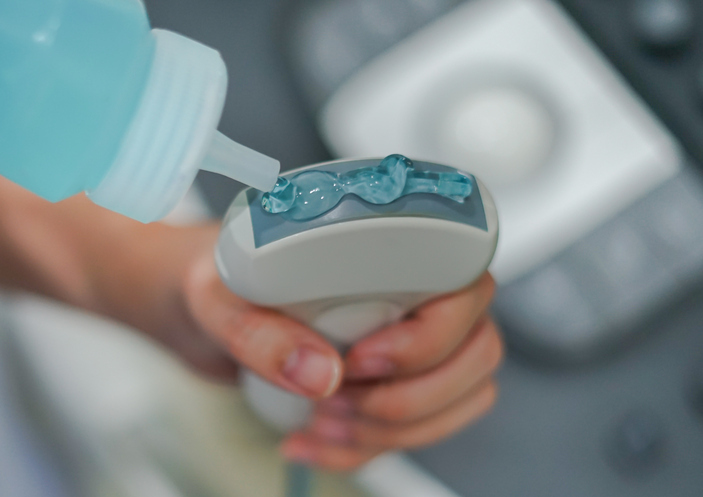 A gel is often put on the patient’s skin or the transducer and wiped around by the transducer so the sound waves are not distorted as the hit or cross through the skin. 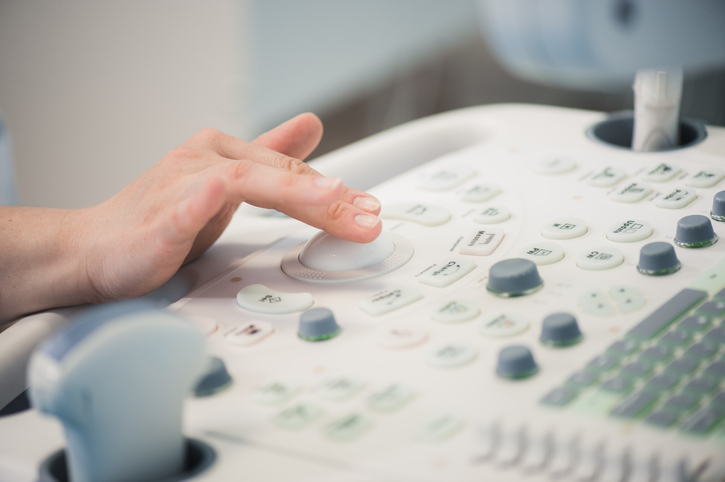 Most ultrasound examinations are done using a transducer or probe outside of your body. However some ultrasound examinations involve placing a different device inside your body to achieve better results or images. The person performing the ultrasound needs a very good understanding of human anatomy and the machine they are using to achieve the best results. Even so, it often takes a fair amount of time repositioning the probe and pointing it in different directions to record or view the best imaging. Varying the amount of pressure pushing the probe around the area can make a difference as well. Therefore it is important that a qualified person do the procedure. A more recent development is the Power Doppler (Doppler angiography). It uses amplitude information from doppler signals rather than flow velocity information and can measure whether an object is moving towards or away from the probe, often to visualize the flow in smaller blood vessels. It can also measure blood flow in organs such as the heart or liver, or within specific blood vessels. Ultrasounds have many valuable uses and you can see a list of them further down this page. However ultrasounds have limitations as they can't provide images of all areas of your body. Sound doesn't travel well through air or bone. Therefore it’s not very effective at imaging parts of your body filled with gas or are obscured by bone. Rather than using ultrasound to view these areas, your doctor may instead order other imaging tests, such as CT or MRI scans, or X-rays. 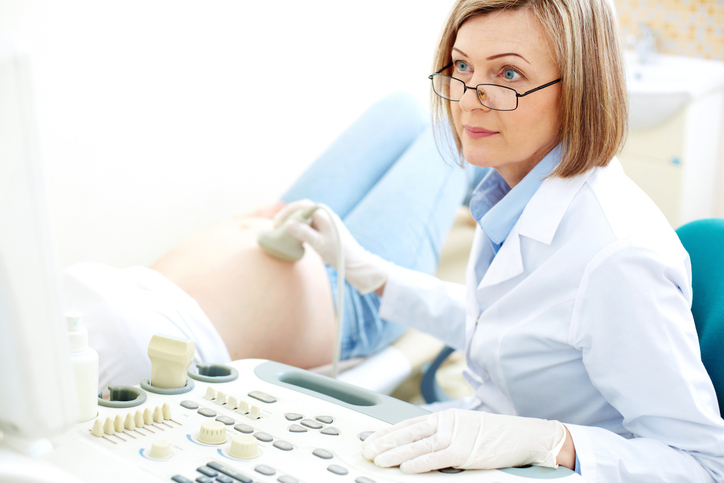 Above: Experienced sonographers can make a big difference in the quality of your ultrasound image. 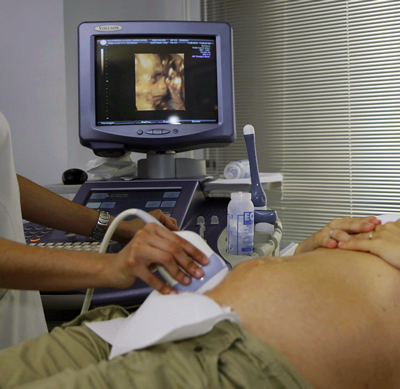 Above: Sonographer during an ultrasound test. Above: Patients can often see their own images as the procedure is being done.